In the past, pundits and pollsters dismissed the retired general’s chances. National surveys placed Subianto far behind Joko, in some cases more than 20 per cent. One reason is Joko, or popularly known as Jokowi, carefully nurtured his populist credentials. This played well with the electorate, and with his rolling out of generous subsidies for national healthcare and education, as well as providing a boost in spending to modernise Indonesia’s antiquated infrastructure, there was a consensus he stood to handsomely defeat Subianto in the 2019 election. Now, just over the past few months, Jokowi’s electoral prospects have started to look less secure. Surveys are revealing Jokowi’s electability is in steady decline. Less than 50 per cent of the electorate are saying they will vote for the incumbent and, according to a pollster associated with Gallup International, nearly 40 per cent of the voters could change their minds in the final weeks before election day. Nothing is certain, but if Subianto were to win, it would surely come as a surprise in Western capitals, much like when Tun Dr Mahathir Mohamad of Malay-sia managed to defeat the incumbent prime minister, Datuk Seri Najib Razak. Yet for those who understand the dynamics of Indonesia’s presidential race, a Subianto victory would come as less of a surprise. It would also be a harbinger of better days for Indonesia, in particular its democracy, and it would — similar to what is now happening under Dr Mahathir’s leadership — signal the beginning of a sober reassessment of Indonesia-China relations. The possibility of Jokowi losing rests on several factors, but the main reason is, very simply, the state of the economy. Middle-class Indonesians are disenchanted, in particular, because of the rising costs of living and a lacklustre job market. Farmers, too, have their own grievances due to low commodity prices. Many voters also remember Jokowi’s promises from the last election in 2014, many of which he has failed to keep. One of its was to grow the economy at an annual clip of seven per cent, not an unreasonable target for an emerging market such as Indonesia. But growth hovered only around five per cent. If one were to ask the average Indonesian whether they feel better off today than five years ago, most would say “no” or “about the same”. Beyond the economics, the growing desire for change has been buttressed even further by Jokowi’s illiberal style of politics. When he was first voted into office, most Indonesians believed Jokowi, like his predecessors, would uphold democratic norms. Unfortunately, he went off in the opposite direction. Using his ruling coalition’s control and influence over the legislature, legal system and security forces, Jokowi and his men have “criminalised” or “harassed” opposition politicians and activists critical of his presidency. National figures, including musicians, actors and even the sister of former president Megawati Soekarnoputri, have been demonised. In some high-profile cases even jailed for their dissent. Not surprisingly, Jokowi’s authoritarian turn has prompted some Indonesians to grant his administration the moniker “Neo New Order”, a play on words of the former Suharto regime’s repressive New Order that ended 20 years ago. His behaviour also has real consequences, mainly on his electability. Indonesians who once favoured him because of his gentle, Javanese persona now see him in an entirely different light. Should Jokowi lose next month’s election, where would that leave Indonesia? If campaign promises are to be believed, then it would be a safe bet Subianto would focus his time in office on improving the economy, delivering inclusive economic growth, food and energy security. 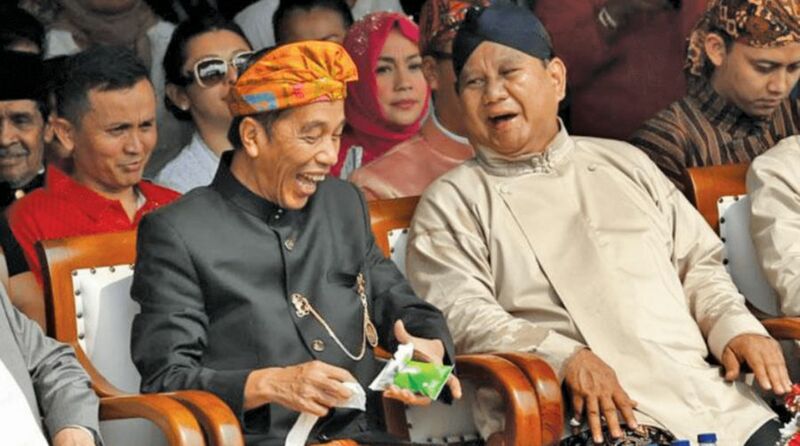 One could also take heart with the fact that he has also vowed, in public quarters and in private with his coalition partners, to correct Indonesia democratic backsliding. Indonesia’s allies in the West, in particular the United States, should be pleased to learn about Subianto’s parting of ways from Jokowi’s foreign policy with China. An avid reader of global economic issues, Subianto has often been quoted as saying that Indonesia needs to tread more carefully than has been the case with Jokowi in its commercial ties with China, especially when it comes to participating in the Belt Road Initiative. Like Dr Mahathir, Subianto understands the economic risks and national security issues at stake if Indonesia were to come too strongly under the influence of Beijing. Such is not music to Xi Jinping, but it would certainly be a welcome and stabilising posture for Southeast Asia’s most strategically important country. Bloodbath of the leaders at UK general election?